CQ Amateur Radio 2014 - The entire year on a single disk! Please note: The price includes the $5 shipping charge to CN/MX. CQ Amateur Radio 2014 - The entire year on a single disk! Please note: The price includes the $3 shipping charge. 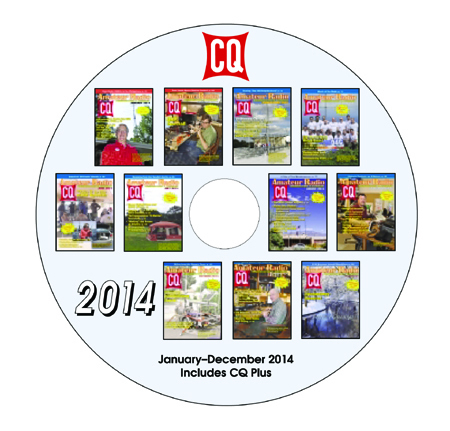 CQ Amateur Radio 2014 - The entire year on a single disk! Please note: The price includes the $10 shipping charge. CQ Amateur Radio 2014, 2015, 2016, 2017 and 2018 - 5 years on disk! Please note: The $139.00 price includes the $12 shipping charge. 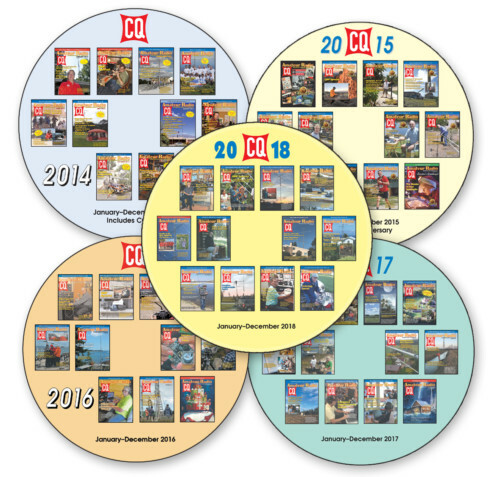 CQ Amateur Radio 2014, 2015, 2016, 2017 and 2018 - 5 years on disk! Please note: The $134.00 price includes the $7 shipping charge. CQ Amateur Radio 2014, 2015, 2016, 2017 and 2018 - 5 years on disk! Please note: The $136.00 price includes the $9 shipping charge to CN/MX. 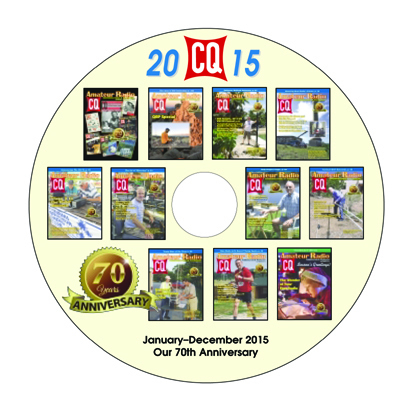 CQ Amateur Radio 2015 - The entire year on a single disk! Please note: The price includes the $5 shipping charge to CN/MX. CQ Amateur Radio 2015 - The entire year on a single disk! Please note: The price includes the $3 shipping charge. CQ Amateur Radio 2015 - The entire year on a single disk! Please note: The price includes the $10 shipping charge. 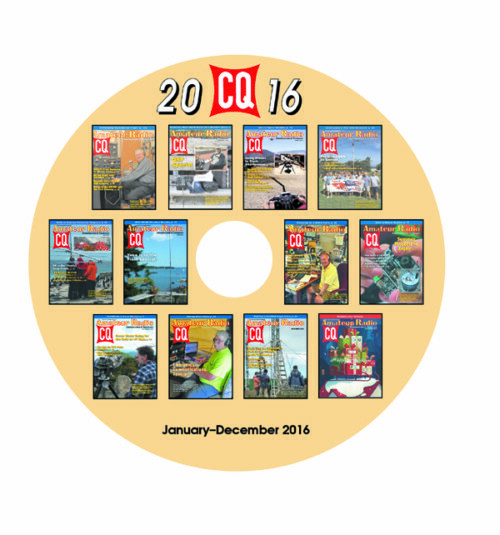 CQ Amateur Radio 2016 - The entire year on a single disk! Please note: The $29.95 price includes the $5 shipping charge to CN/MX. CQ Amateur Radio 2016 - The entire year on a single disk! Please note: The $27.95 price includes the $3 shipping charge. CQ Amateur Radio 2016 - The entire year on a single disk! Please note: The $34.95 price includes the $10 shipping charge.